Let me be candid. This band impressed and moved me so much in person, and the videos continue to make me very happy — “tonation and phrasing” carried to the very apex of swinging beauty. They are Tim Laughlin, clarinet; Connie Jones, cornet and vocal; Mike Pittsley, trombone; Chris Dawson, piano; Marty Eggers, string bass; Katie Cavera, guitar; Hal Smith, drums — all recorded at the San Diego Thanksgiving Dixieland Jazz Festival (this session on November 24, 2013). This music emphasized the truth of this post’s title, I am positive. And, for the near future — the 34th Festival (now called The San Diego Jazz Festival) will take place from Nov. 27 to Dec. 1, with music by Bob Schulz, Ray Skjelbred, Glenn Crytzer, the Yerba Buena Stompers, the Reynolds Brothers, High Sierra, Stephanie Trick, Paolo Alderighi, Jason Wanner, Bob Draga, Carl Sonny Leyland, Grand Dominion, Chloe Feoranzo, and much more. For information, visit here. One, two, three. These treasures required a good deal of crawling around on the floor, but returning to childlike postures is part of the pleasure of record-buying. This surprising Eden of discs is located at 320 Miller Avenue, Mill Valley, Marin County, just north of San Francisco. 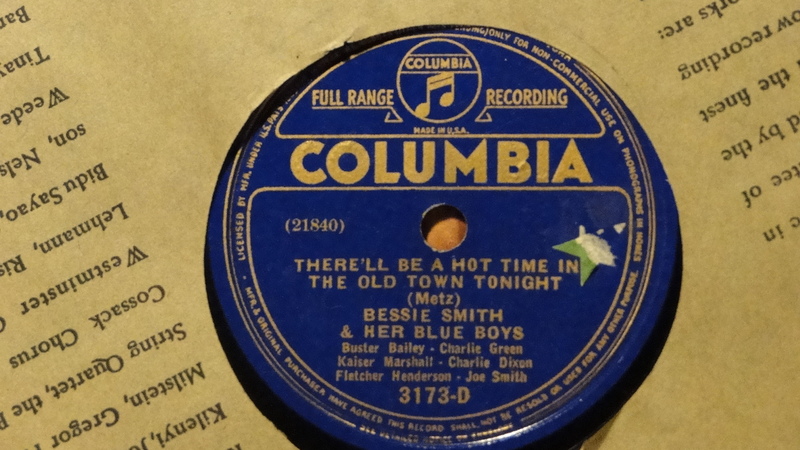 Bessie with Joe Smith, Charlie Green, Buster Bailey. 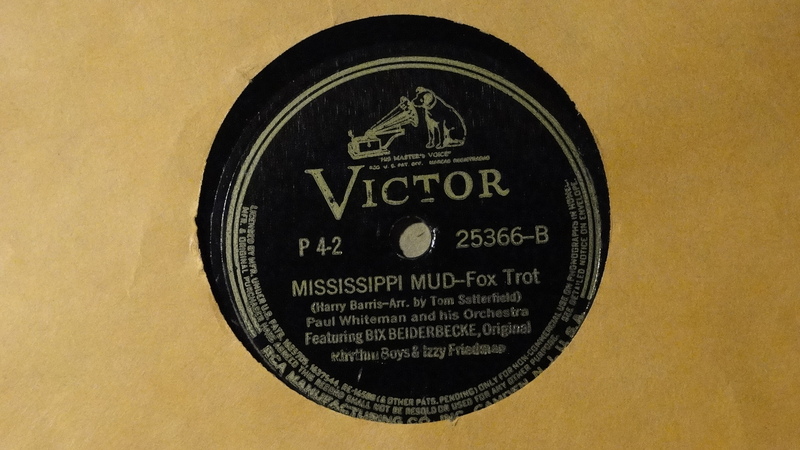 from the 1936 Bix Beiderbecke Memorial Album. 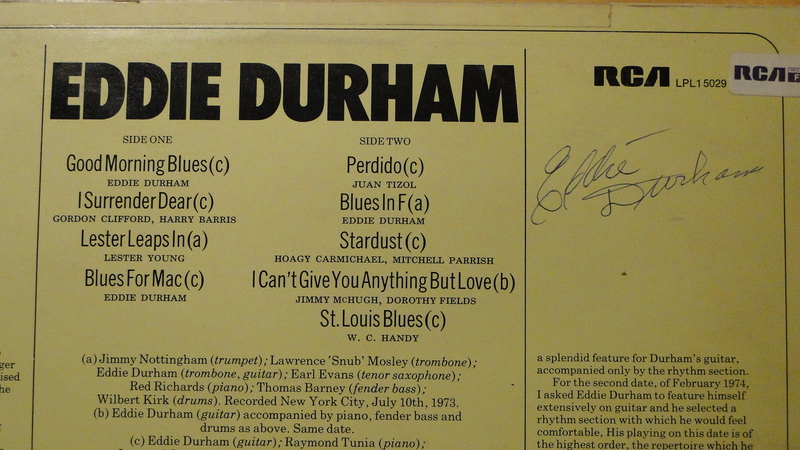 circa 1974, autographed by The Man Himself. I plan a return trip! Posted in "Thanks A Million", Bliss!, Generosities, Ideal Places, Irreplaceable, Jazz Titans, Pay Attention!, Swing You Cats!, That Was Fun!, The Real Thing, The Things We Love, Wow!